The Star Drug Store traces its origins to 1906. The neon Coca-Cola sign dates to the 1940s. Customers once came to the Star Drug Store for their medicinal needs, but today they come for a different kind of pick-me-up: meals and merchandise. 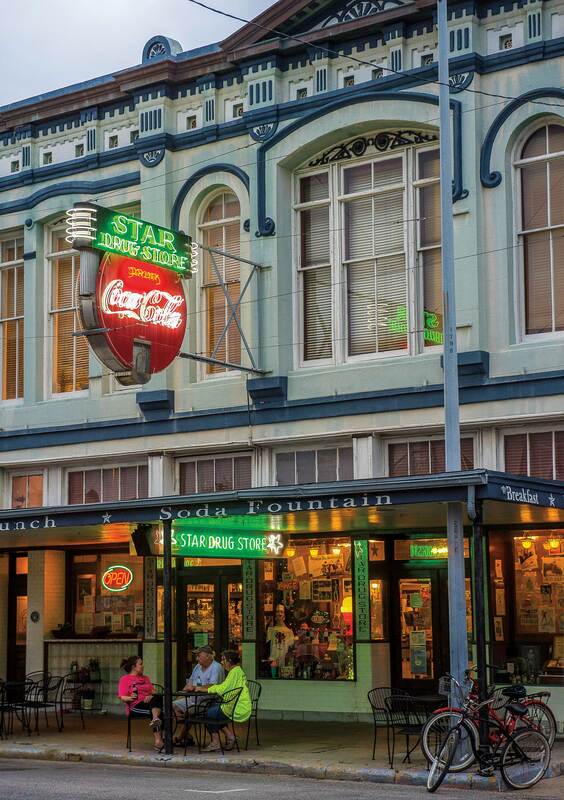 For more than a century, the Star has been a fixture in Galveston’s historic downtown. A glowing neon-lit Coca-Cola sign shines like a beacon above its sidewalk awning on 23rd Street, a few blocks south of the Strand, the island’s main commercial artery. This vintage porcelain sign, which dates from the late 1940s, is said to be one of the last of its kind. Set in an 1886 building, the store’s interior also harks back to olden days. A local druggist named Charles J. Michaelis bought the building in 1906 and added the soda-fountain counter in 1917. The original glass-fronted cabinetry lining the walls once displayed elixirs, tonics, and tinctures; now it showcases bags, hats, and baubles to tempt impulse shoppers. 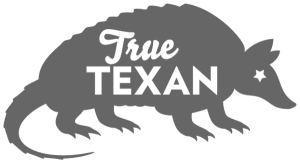 One of the best-selling items is the $20 T-shirt emblazoned with the store logo, derived from its iconic Coca-Cola sign. Various vintage-style tin signs promoting Coke and other classic products decorate the mezzanine (and are also for sale for $12.95). However, the Star is especially known for its year-round stock of Mardi Gras masks, which range from $5 for the simplest design to $45 for a rhinestone-bedazzled mask festooned with feathers worthy of artistic display or the fanciest masquerade balls. Invariably, Star Drug Store shoppers stick around for the food. Hungry patrons perch on barstools at the horseshoe-shaped marble counter, where they can get a good view of the cooks tending burgers sizzling on the grill and whipping up creamy milkshakes. Pharmacies began adding soda-fountain counters around the turn of the 20th century in response to the popularity of carbonated beverages. Originally considered “medicinal,” druggists sometimes laced these drinks with cocaine and opiates until the government began regulating those substances in 1914. Yet the bubbly, syrup-flavored beverages continued to be popular—and they remain so. The Star still offers an array of fizzy flavors, including lime, cherry, vanilla, strawberry, chocolate, and grape, which can be mixed with ice cream to make an ice cream soda. It also features classic treats such as ice cream sundaes, banana splits, and frothy egg creams (chocolate milk with a spritz of soda). 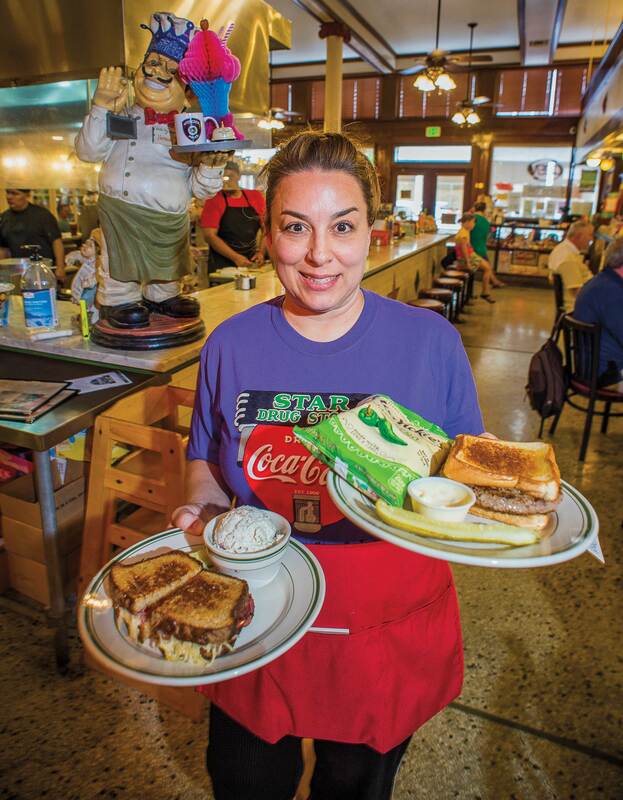 The Star tempts customers with breakfast and lunch favorites like omelets, patty melts, and Reubens. The Star dishes up heartier fare as well. For breakfast, choose among omelets, stacks of golden pancakes, and French toast dusted with powdered sugar, plus sides of bacon, sausage, or grits, and wash it all down with a cup of chicory coffee with evaporated milk. The menu also faithfully re-creates traditional lunchtime favorites: Swiss cheese-smothered patty melts, pimento-cheese sandwiches, and Reubens with sauerkraut and Russian dressing on homemade Latvian rye baked by Monsrud’s father. Monsrud wanted to develop a menu that was “tried and true.” “You can’t go wrong with a burger and a shake,” she says. Yet she has devised some inventive twists, adding a zing of horseradish to the tuna salad and pineapple chunks to the curried chicken salad. She concocted a new dessert, too: the Shipwreck Float, a scoop of vanilla ice cream buoyed by a blend of Coke, Dr Pepper, root beer, and cherry syrup.